We Make It Easy to Apply for a Credit Card Online! Use the menu on the left to research which type of credit card you are looking for. Select various credit card offers that best fit your credit needs. Apply instantly for the credit cards you choose with an online application! Credit cards of this type are picked by Your Credit Network users. The most popular credit card on the network is featured in this spot, which is updated once every other week. Take advantage of these offers while they last! The IberiaBank Visa® Classic Card, issued by IberiaBank, is designed for those with average credit who may occasionally carry a balance. Although this card does not offer a rewards program, it does offer access to common services and benefits, including online account access and lost and stolen card reporting. Low interest credit cards are ideal for people with good credit that would like to take advantage of reduced interest rates. Click here for a complete listing of low interest credit cards. The IberiaBank Visa® Select Card, issued by IberiaBank, is designed for those with excellent credit who may occasionally carry a balance. Instant approval credit cards work well for people that want to use their new line of credit without the usual 2-6 week waiting period. Click here for a complete listing of instant approval credit cards. The Vision Silver(SM) Prepaid MasterCardÂ®, issued by MetaBank, is ideal for people who are finding it difficult to obtain either a secured or an unsecured credit card. Applicants will not have to go through a credit check because approval is guaranteed. Earn points, prizes and other exciting goodies when you make purchases with a credit card from this category. 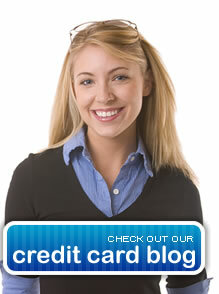 Click here for a complete listing of credit cards with reward programs. The Platinum Card® from American Express is a charge card designed for those who have an excellent credit history, can pay in full each month, and want to avoid accumulating credit card debt. Put your purchasing power to work! You can earn cash back rebates and other cash incentives when you use one of these credit cards. Click here for a complete listing of cash back credit cards. The Discover® More(SM) Card, issued by Discover, is designed for those with very good credit who are looking for a cash reward credit card. Take advantage of these specially designed reward programs and earn cool prizes that are perfect for the college student lifestyle. Click here for a complete listing of student credit cards. The AccountNow® Prepaid Visa®, issued by MetaBank, is a stored value card designed for those who may have difficulty in obtaining a standard unsecured credit card. Consolidate many credit card bills onto one of these credit cards to take advantage of introductory rates and save big! Click here for a complete listing of balance transfer credit cards. The Best Western MasterCardÂ® Credit Card, issued by MBNA Canada, is available to Canadian residents with a clear, but established credit history. In the rewards program that comes with this card, cardholders can earn Best Western Rewards points which can be used at Best Western locations internationally. Earn points and miles toward future business trips or exotic vacation spots using one of the credit cards from this category. Click here for a complete listing of hotel & airline credit cards. The Starwood Preferred GuestÂ® Credit Card from American Express is designed for those with good credit who frequently stay at Starwood hotels and resorts and plan to take advantage of the various benefits and services that are provided. Get all the convenience of a regular credit card and spend at your own pace using one of the credit cards from the prepaid section. Click here for a complete listing of prepaid credit cards. The Millennium Advantage Pre-Paid MasterCardÂ®, issued by New Millennium Bank, is a stored value card designed for those who may have difficulty in obtaining an unsecured credit card. Your Credit Network Urges You to Use Your Credit Wisely! When you get your first credit card, it can be very tempting to go on a spending spree buying all sorts of new things that you weren’t able to before. It’s difficult, but you must resist that temptation and use your credit wisely. But how to use it wisely? It’s not difficult - it just takes a little planning. The first thing to remember is that you shouldn’t be spending more than you can afford. To figure that out, you need to have a budget. The details of making a budget are outside the scope of this article but, put simply, take your monthly income and then subtract your monthly expenses. The difference is your disposable income. This number determines how much you can afford to spend. Without a credit card, the only way to exceed this amount for a given month is to save money (spend less) in the previous months. A credit card can let you exceed your disposable income by letting you use some of your credit. Keep in mind that this will then increase your monthly expenses in the form of your credit card bill. However, just because you can exceed your disposable income doesn’t mean you should. Eventually, you will reach your credit limit and won’t be able to spend any more on your credit card. This eliminates one of the best uses for a credit card: emergency spending. If you’re on vacation and your car breaks in the middle of nowhere, a credit card is a great way to pay for the repairs. Also, maxing out your credit cards isn’t a good idea if you’re trying to obtain other forms of credit, like car or home loan, as the ratio of credit extended to credit used is a factor in determining your eligibility for those loans. It may sound like you shouldn't use your credit card except in emergencies, but that isn't necessarily the case; in fact, you should use your credit cards periodically. Repeatedly using your cards and paying them off in a timely manner demonstrates responsibility to the credit card companies which will lead to a higher limit and lower interest rates. A higher limit gives you a bigger cushion to pay for emergencies when they arise. As long as you’re not spending more than you can afford, there’s no reason not to pay with your credit card.